In the rapidly changing global economy, robotic process automation (RPA) has become one of the most important and fastest growing concepts. RPA enables companies to streamline business processes by configuring computer software (or a ‘bot’) to execute laborious and time-consuming tasks. Accounting processes, such as Accounts Payable (AP) and Accounts Receivable (AR) are critical to the overall functionality of companies. However, they are also the cause of pain points for many companies.Both functions naturally involve a lot of repetitive, predicable and manual work which can be tedious and prone to human error. However, AP processes provide the ideal conditions for the implementation of a Robotic Process Automation (RPA) system. A ‘robotic workforce’ has the ability to capture and interpret data whilst responding and communicating with other legacy systems. Meaning that organisations do not experience any disruptions to the processes they already have in place. How Can RPA Benefit AP and AR Automation? There are a number of key benefits associated with RPA systems, especially when it comes to Accounts Payable automation. In contrast to other traditional IT solutions, RPA allows organisations to automate at a fraction of the cost and time. RPA robots are capable of mimicking human user actions within specific workflows. They have the ability to log into applications, move files and folders, copy and paste data, fill in forms, extract structured and semi-structured data from documents, scrape browsers, and much more. A reduction in time consuming tasks also frees up your staff members. This enables them to be redeployed to higher value business functions which can increase your company’s overall productivity. Data associated with invoices is typically unstructured. This means that it needs to be extracted from different locations before being entered into a company’s system. The manual transfer process of this data is time-consuming and prone to human error. It can also be difficult for more traditional automation software’s to handle. However, if there is any missing data that is essential to completing the invoicing process, the RPA can be programmed to search for it and insert it into the correct location of a form. This helps increase productivity levels within an organisation. Not all invoices are born equal. This means that companies often receive invoices from their suppliers in many different formats (e.g. paper, word document, PDF file, etc.) and layouts. Therefore, it is a challenge for the computer software that captures and processes the invoices to retrieve the information correctly. Although in recent years, there has been a stark improvement in the capabilities of the optical character recognition (OCR) software that is essential to the RPA invoicing process. The robots now have the ability to machine-learn and recognise various different formats of invoices. When they have been shown where to extract the information from an invoice type 3 times, they will be able to process future invoices instantly. 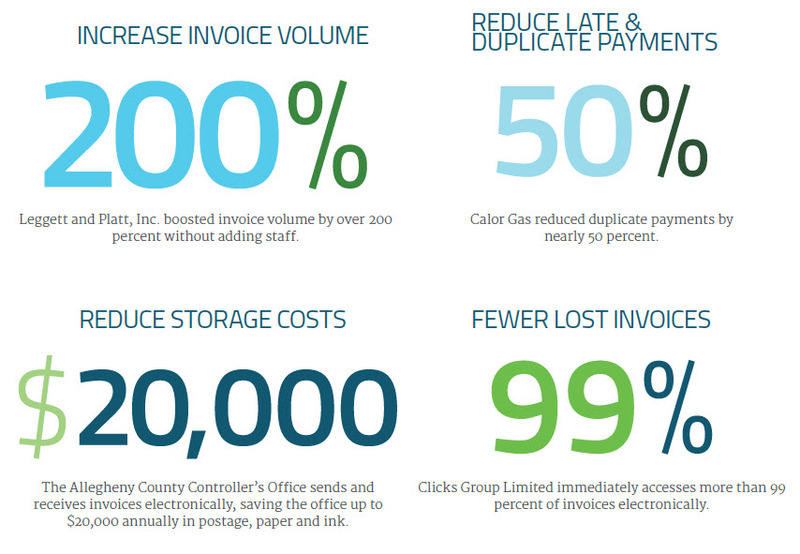 This enables quick turnover of documents for approval and leads to invoices being paid faster. 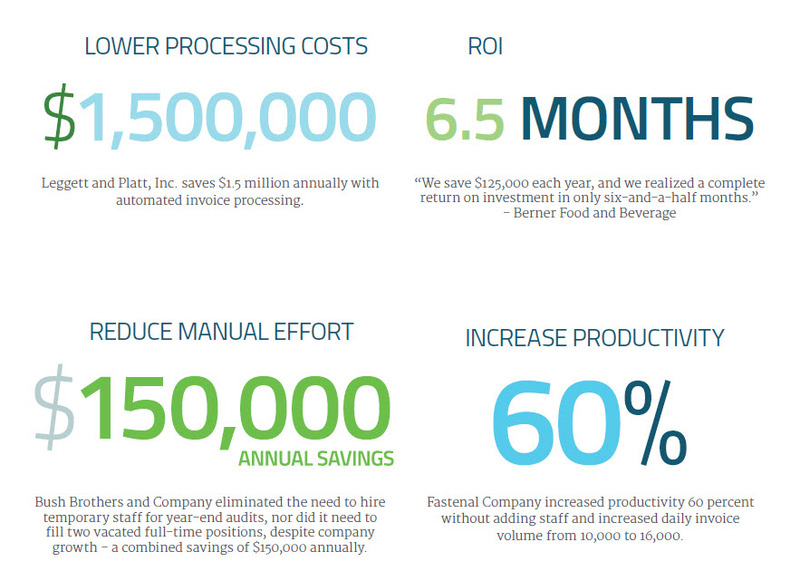 RPA can also reduce processing costs by up to 80%. In just 6 months enterprises who employ an RPA solution will have already made a positive return on investment. With potential further accumulative cost reductions can reach 20% in time. Our Partners at UiPath implemented an enterprise RPA solution for a large Japanese organisation that cut their annualized hours across 200 operations by 650,000 over the course of just a few months after they implemented the system in 2017. The company has currently automated 1.1 million hours of work and reduced their costs by ¥10 billion. This is particularly impressive considering their target after the first 3 years of implementation was ¥20 billion. Robotic Process Automation meets all compliance regulations and standards as every step that is undertaken in a specific process is recorded for historical auditability. This enables tasks to be done in short-term, accurate and effective manner. Within an AP or AR process, there is always the possibility of human errors occurring. Whereas RPA software robots are programmed to follow rules. Roborts never get tired and never make mistakes. They are compliant and consistent. By implementing an RPA system in your Finance & Accounting processes, you can deliver enhanced customer service, achieve a competitive advantage in your industry and actively scale your organisational operations at a low cost. Error reconciliation also cause huge issues to the level of productivity within an Accounts Payable or Accounts Recievable workflow. The errors occur when incorrect data is entered by suppliers on the invoice itself. This happens across a variety of finance and accounting documents, such as invoices and purchase orders. By automating most of this manual and time-consuming work, RPA robots can reduce the amount of oversight and exception handling that this required by employees. This means that employees are free to focus on other facets of their work. It also ensures a greater level of customer service with other companies you engage with. By embracing RPA in your Finance and Accounting departments, you can help create a competitive edge for your business that is faster and makes zero mistakes. 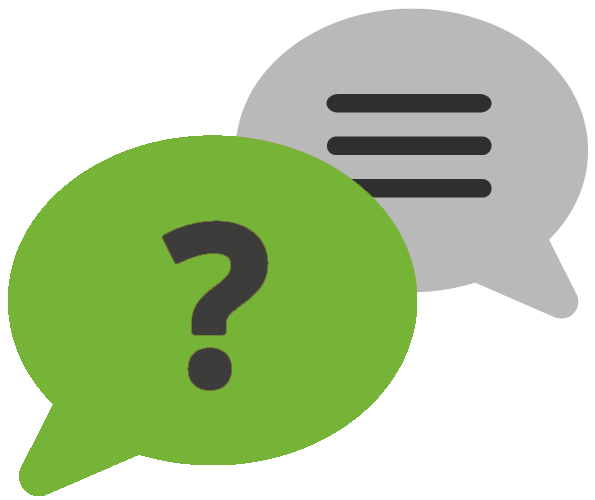 If you’d like to talk to one of our consultants about implementing an RPA solution for your business, you can email [email protected] for more information.